Port Map is a simple front end to your Universal Plug and Play router’s port mapping feature (this includes AirPort Base Stations). 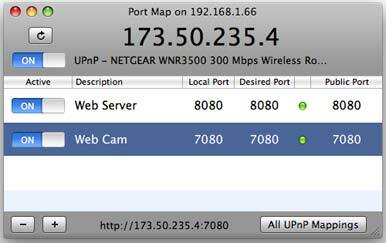 When you need to open a port to the outside world, instead of first visiting your router’s setup page, then navigating to its port mapping feature, then using its often byzantine interface to map the port, you can run Port Map instead. Click the plus sign to create a new mapping, enter the port number you’d like to open, provide a meaningful name (Web Camera), and then click Add Mapping. Port Map will then create this map in your router, and you’re good to go--the port will remain mapped, even when you quit Port Map. You can also easily see all existing port maps and enable and disable mappings on a per-map basis, or all at once. 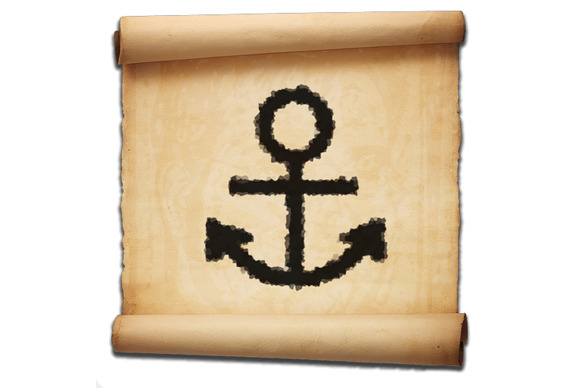 If you don’t know what port mapping is, you’ll probably never need this program...but if you do map ports, Port Map makes it amazingly simple to do.